Divine Magazine interviewed me for my first book, Enemies of the State! I had a ton of fun with this interview, and I really loved getting to know Rita and the whole team over at Divine. 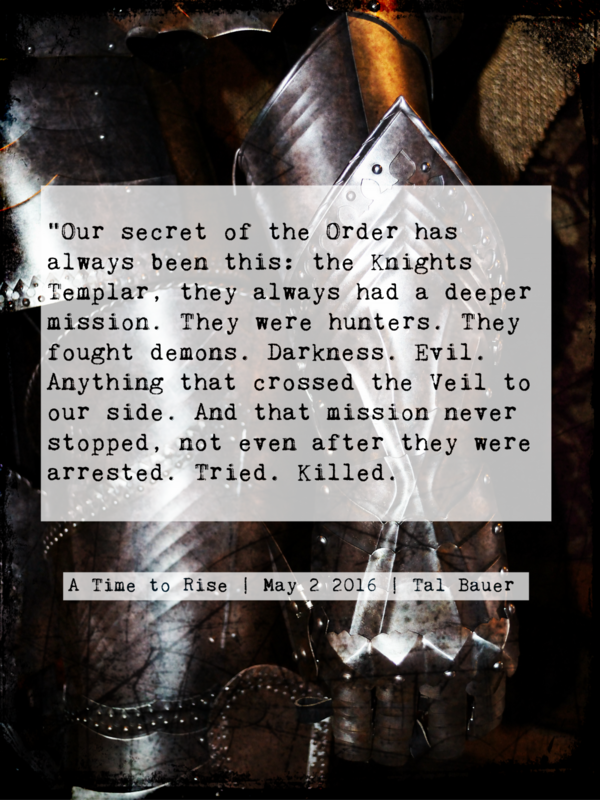 A Time to Rise, released May 2nd, is set in the present day, and yet, a brotherhood thought long-dead continues to fight on. The Order of the Knights Templar, Resurrected, hunts in the shadows. Why? What is their purpose? What are they fighting? And what is is that Sergeant Alain Autenburg of the Vatican Swiss Guard is willing to die to protect?